TVS NTORQ 125 is the first ever 125cc scooter from TVS Motor Company. NTORQ was launched to compete against the likes of other 125cc category scooters like Suzuki Access 125, Honda Activa 125 and Grazia 125. Other than beefed up performance specs, TVS NTORQ 125 gets some of the best features in its class like Navigation option, Bluetooth based smart connectivity app which tries to connect well with current generation youth in India. Check the full features offered in TVS NTORQ 125. TVS NTORQ 125 is available in 6 color options – 3 Matte colors and 3 Metallic colors. 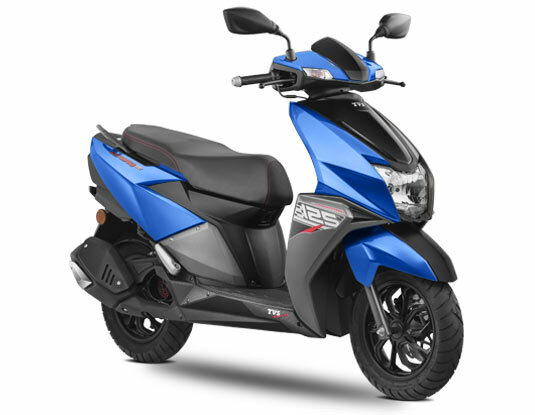 The all new 2019 model TVS NTORQ 125 is available in Metallic Blue color. Check out the photo of 2019 NTORQ 125 in Blue color (Metallic Blue) below. Get TVS NTORQ 125 for Test Drive! Provide your details so that we can arrange a test drive of all new NTORQ 125 for review you at your city! 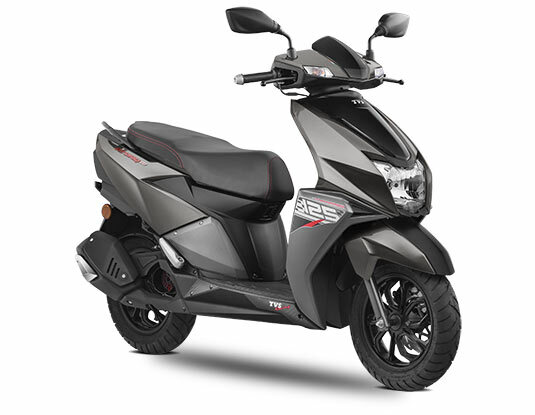 The all new 2019 model TVS NTORQ 125 is available in Metallic Grey color. Check out the photo of 2019 NTORQ 125 in Grey color (Metallic Grey) below. 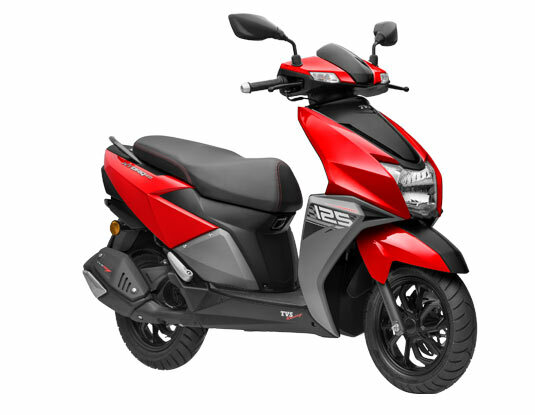 The all new 2019 model TVS NTORQ 125 is available in Matte Red color. Check out the photo of 2019 NTORQ 125 in Red color (Matte Red) below. 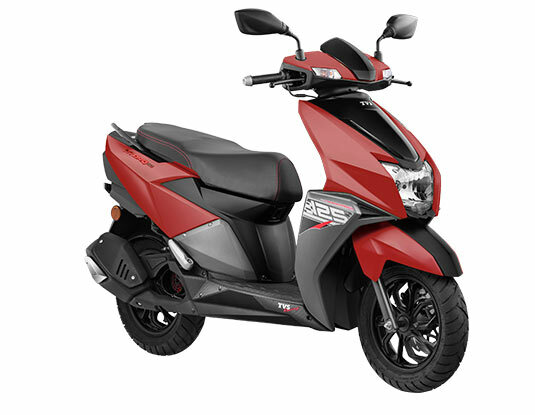 The all new 2019 model TVS NTORQ 125 is available in Metallic Red color. Check out the photo of 2019 NTORQ 125 in Red color (Metallic Red) below. The all new 2019 model TVS NTORQ 125 is available in Matte White color. Check out the photo of 2019 NTORQ 125 in White color (Matte White) below. The all new 2019 model TVS NTORQ 125 is available in Matte Yellow color. Check out the photo of 2019 NTORQ 125 in Yellow color (Matte Yellow) below. 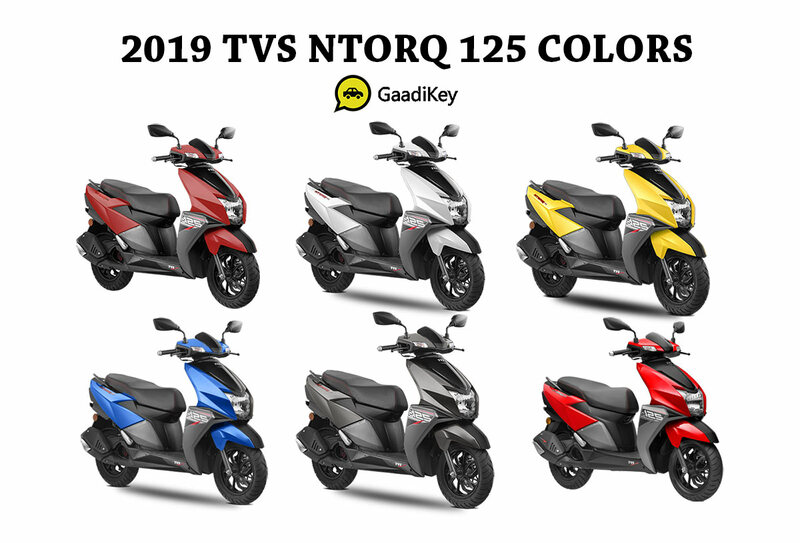 Which one do you think is the best color option for TVS NTORQ 2019 model?